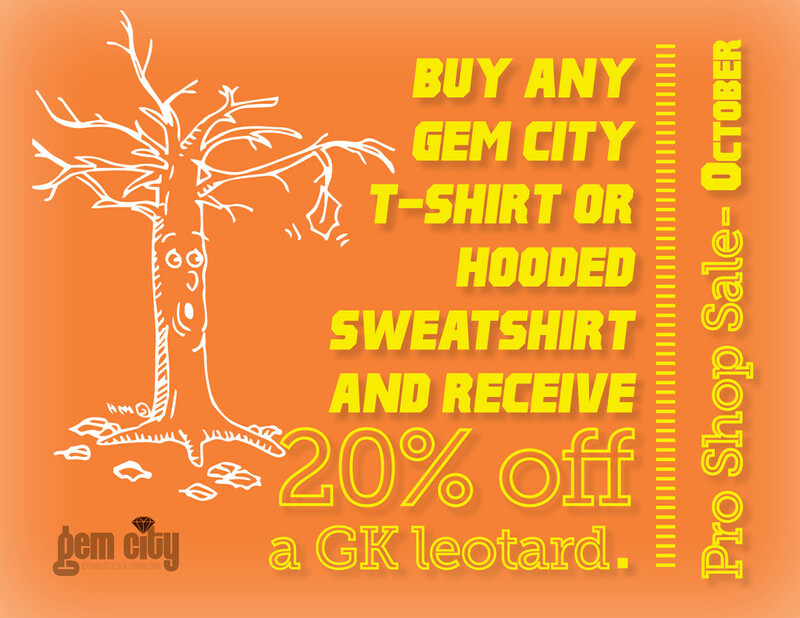 Get ready for the chill of fall by buying any Gem City hooded sweatshirt (or t-shirt) and receive 20% off a GK leotard. 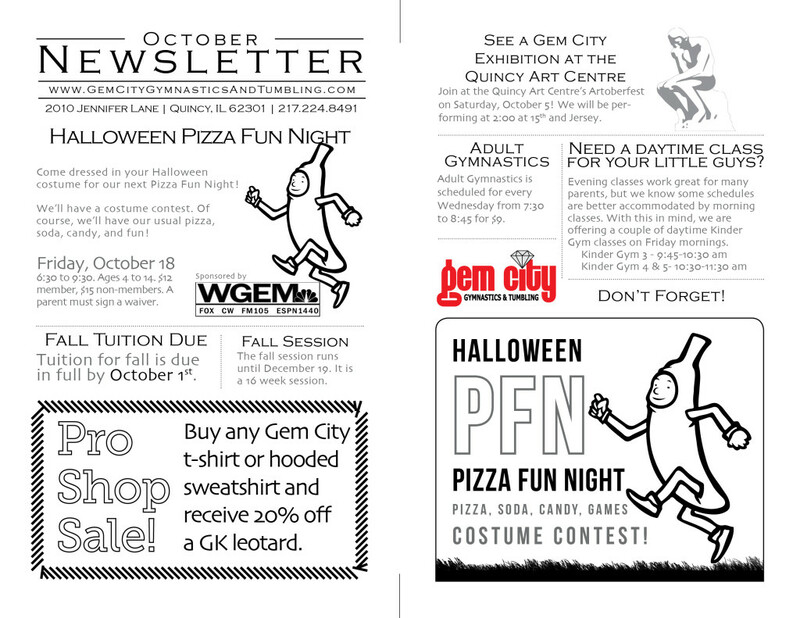 Join us on Friday, October 18 for Gem City’s Halloween themed Pizza Fun Night. 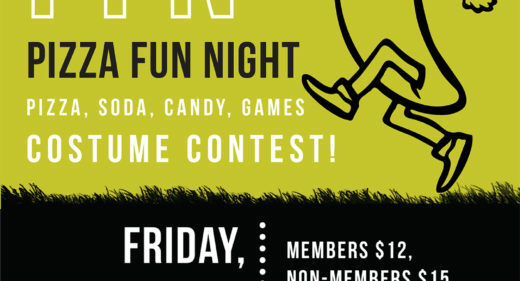 There will be a costume contest along with our usual games, pizza, and fun! 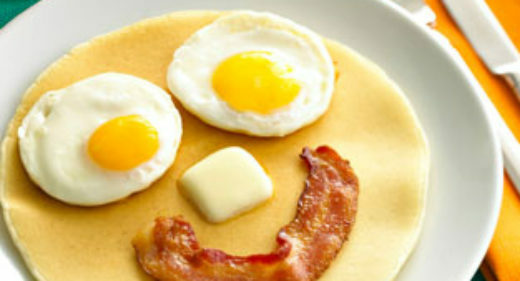 6:30-9:30– $12 members, $15 non-members. Ages 4-14. 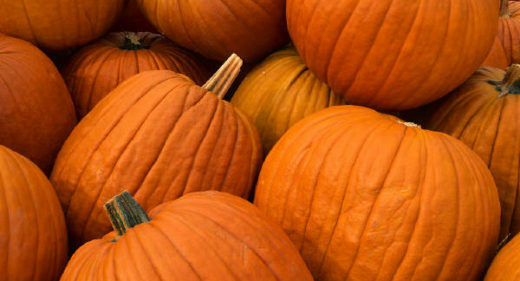 The chill of fall is beginning to march in and we’re loving it! 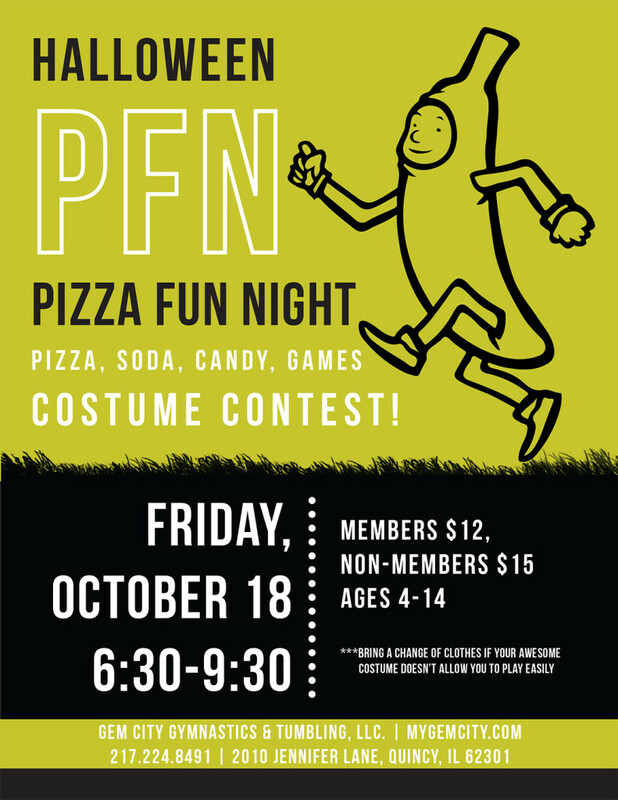 The school year has launched and so will our first Pizza Fun Night of the fall! 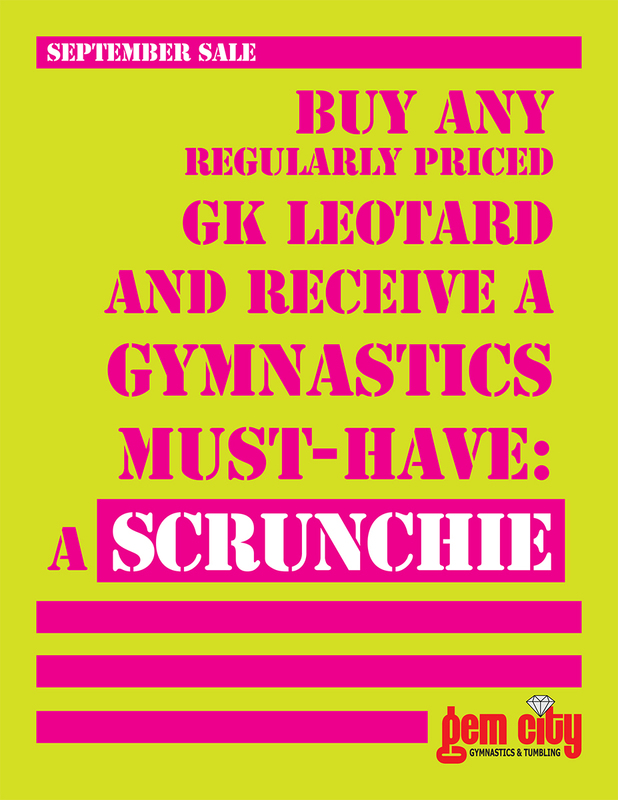 Buy any regularly priced GK leotard and receive a scrunchie! Join us for our first Pizza Fun Night of the school year! 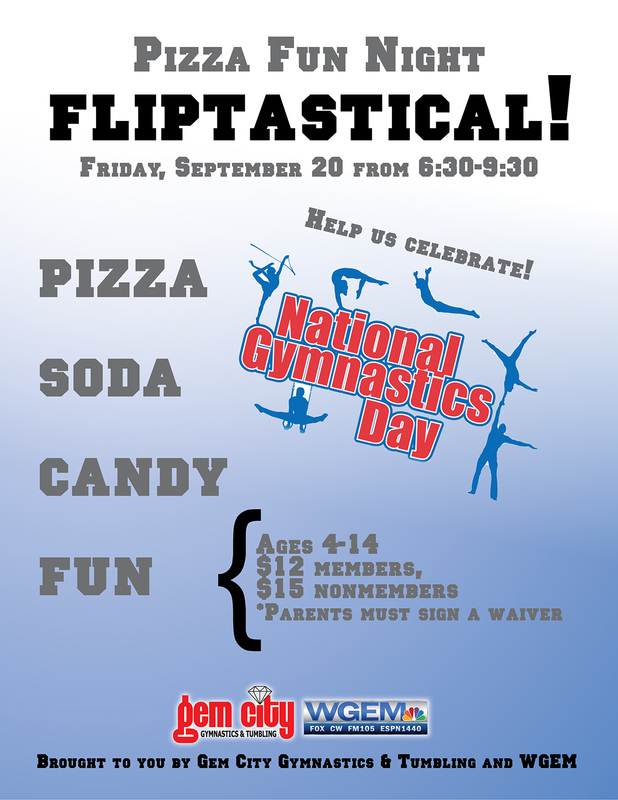 It’ll be Friday, September 20 from 6:30-9:30. Ages 4-14. 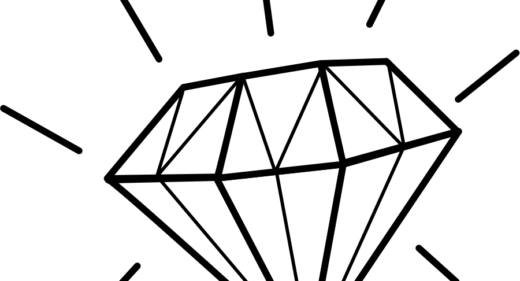 $12 members, $15 nonmembers. 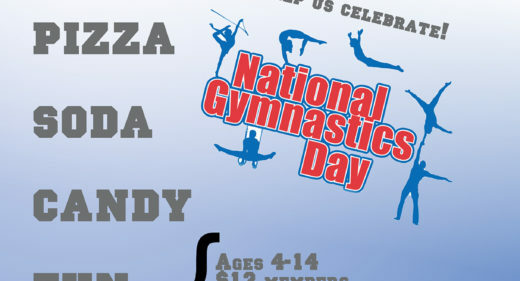 Have the kids outgrown those leotards or shorts? 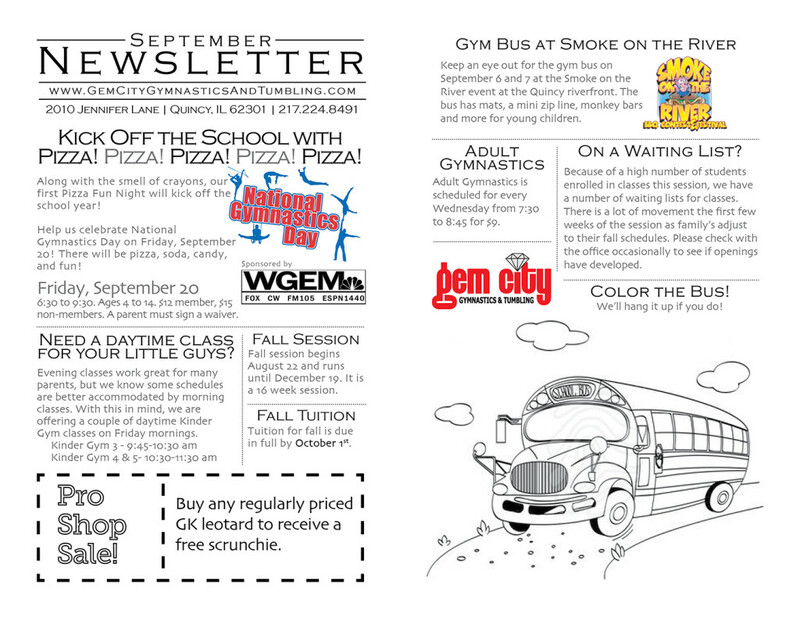 Check out our August deals below. 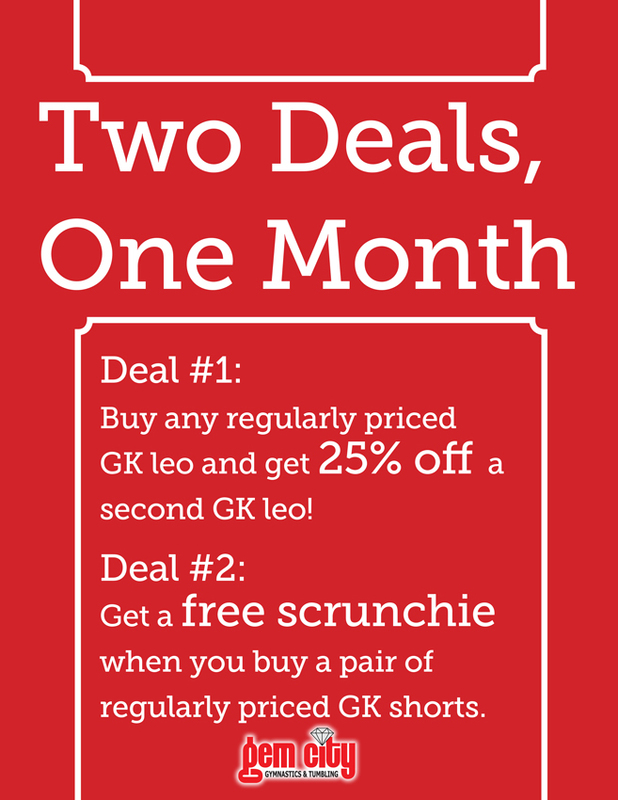 Deal #1- Buy any regularly priced GK leo and get 25% off a second GK leo! 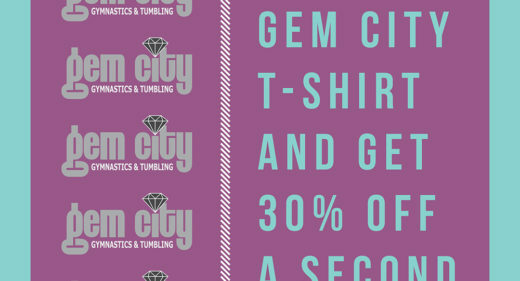 Deal #2- Get a free scrunchie when you buy a pair of regularly priced GK shorts. 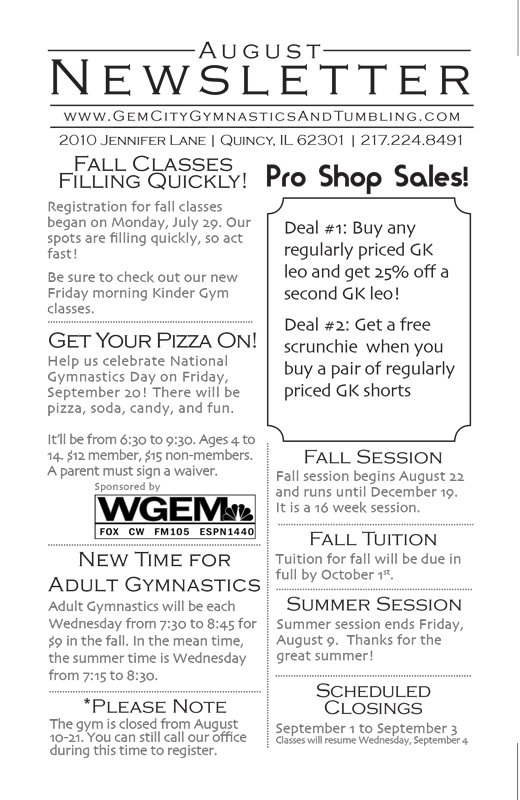 Need a daytime class for your little guys? 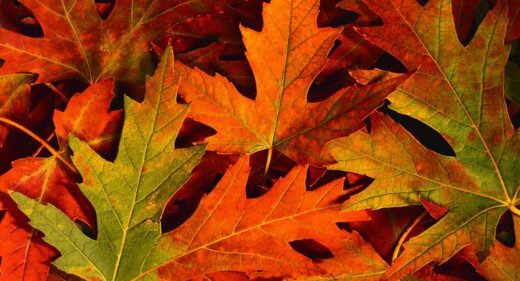 Our afternoon and evening classes work great for many parents, but we know some have schedules that are better accommodated by morning classes. With this in mind, we’re excited to announce that this fall we’ll be offering a of couple daytime Kinder Gem classes on Fridays. Check our August newsletter to keep current as summer quickly comes to a close! 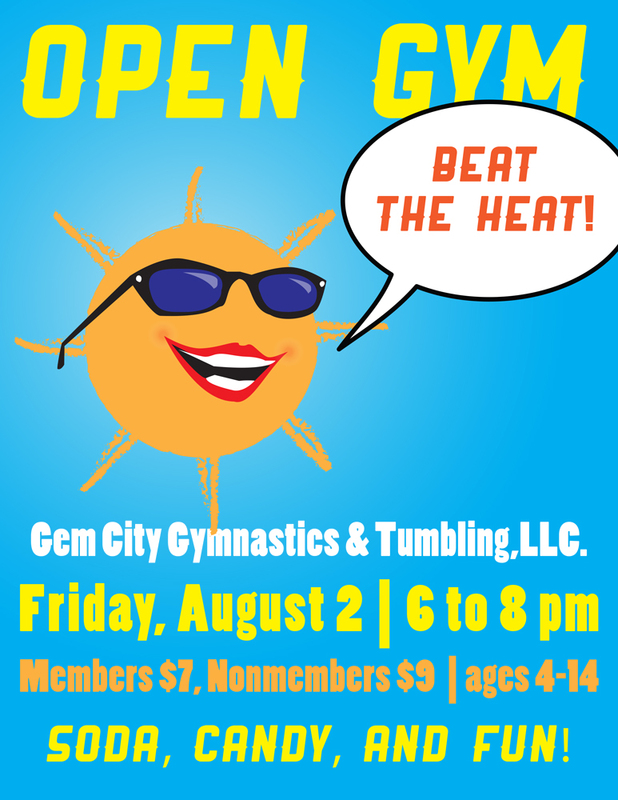 Let the kids escape the heat at our next open gym with candy, soda, and fun! 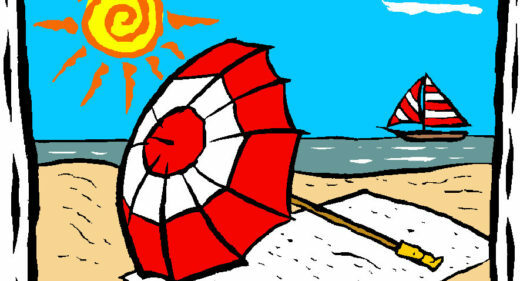 It’ll be Friday, August 2 from 6 to 8. 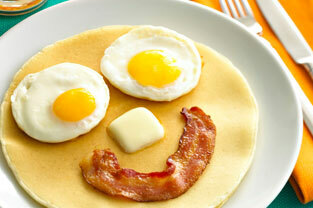 $7 members and $9 nonmembers. Ages 4 to 14. Buy any Gem City t-shirt and get 30% off a second t-shirt! 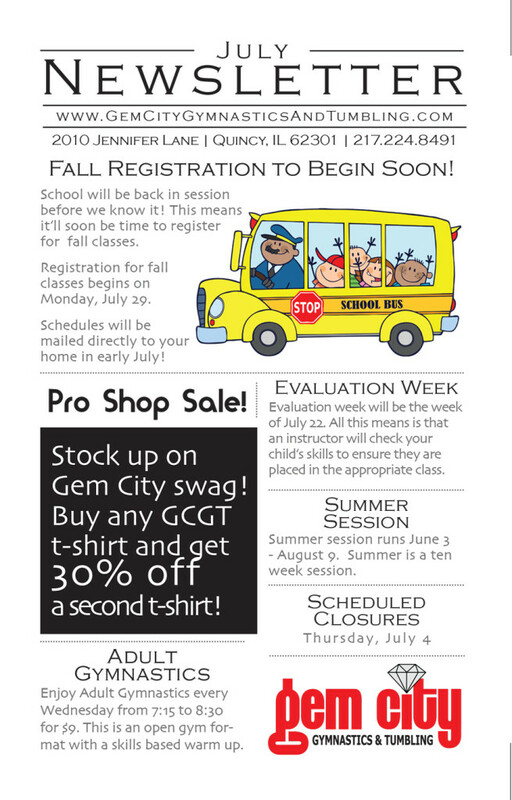 Find out about fall registration. 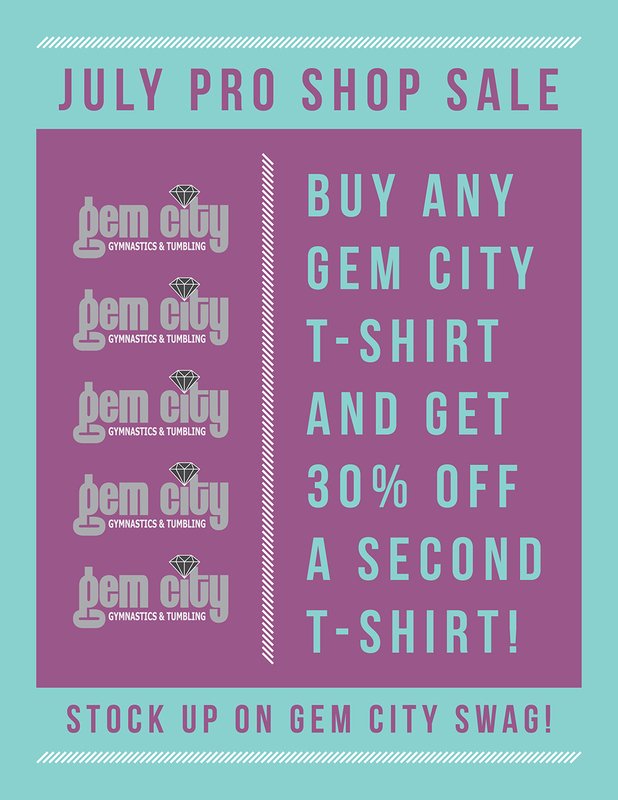 evaluation week, and this month’s pro shop sale. Read below for all the details. 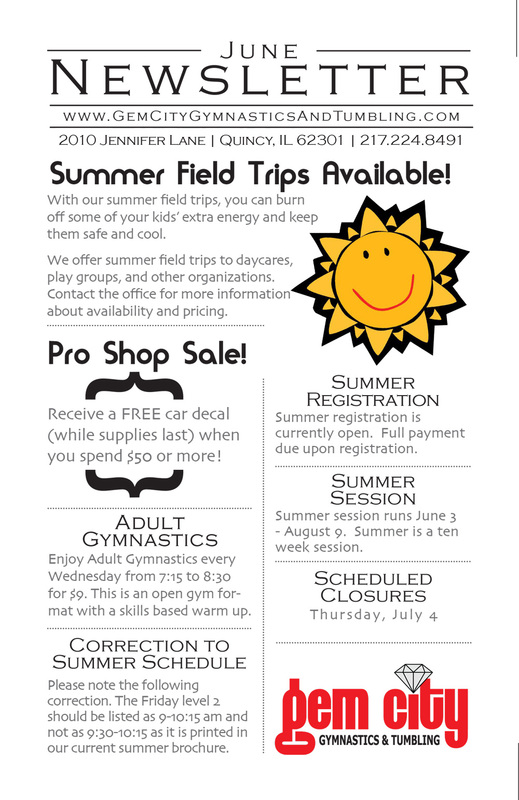 Summer has finally arrived, classes have begun again, and our June newsletter is hot off the presses! Congrats to the New All Star Squad! We want to congratulate the following athletes on making the 2013/14 Gem City All Star Cheer Squad! Hope and I truly enjoyed the tryout process. 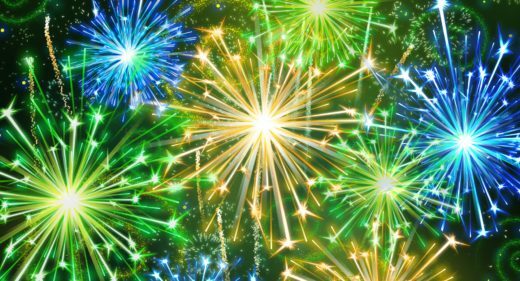 We look forward to working with you during the upcoming year. 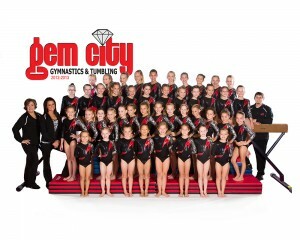 Coaches Kiki Backoff, Hope Cernea, and Jacob Huff are picture with the entire 2012-2013 gymnastics team. 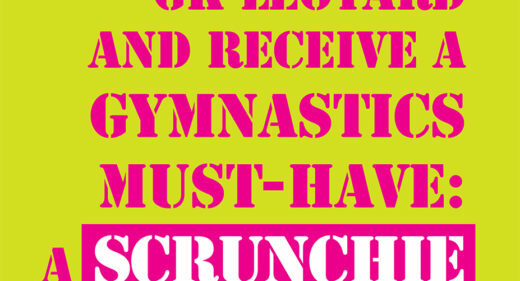 We’re busy preparing for the state tumbling meet we’re hosting on May 18. 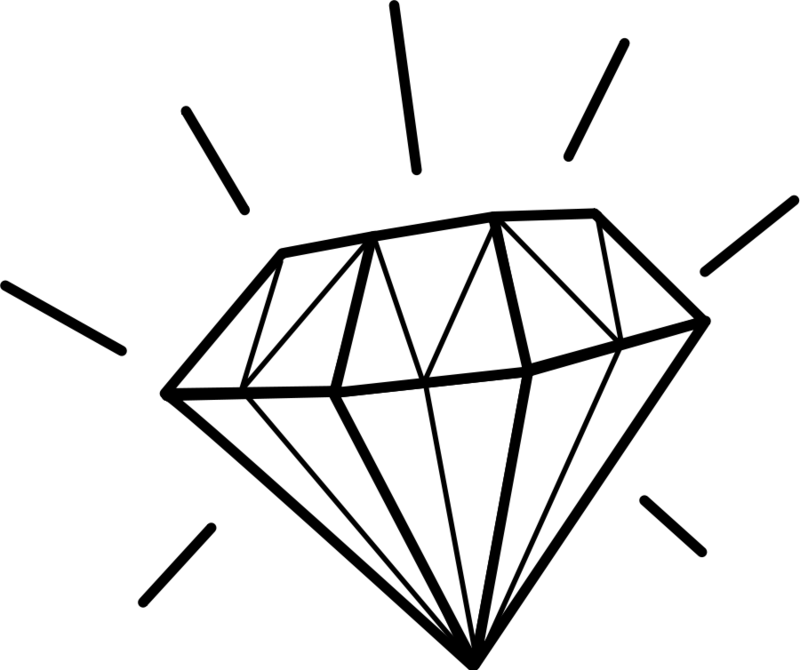 (Read more about it here.) 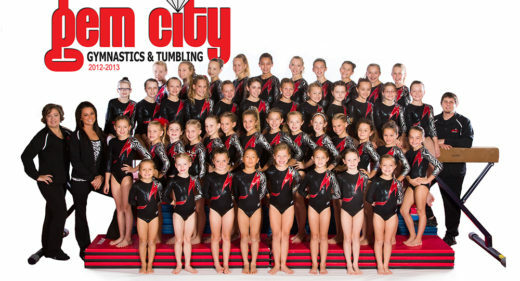 But we wanted to take some time to highlight how our level 5 gymnasts performed in Peoria at their state meet. We’re very proud of all their hard work!